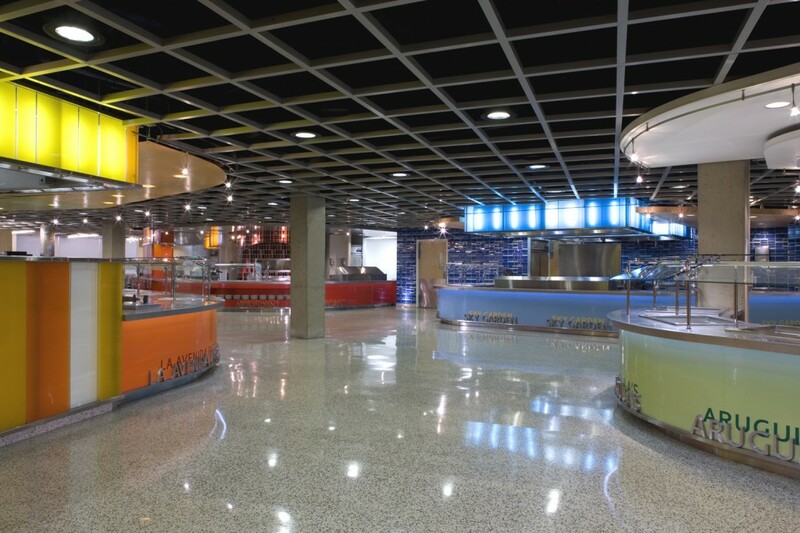 The transformative project reinvents the facility and redefines the student dining experience. 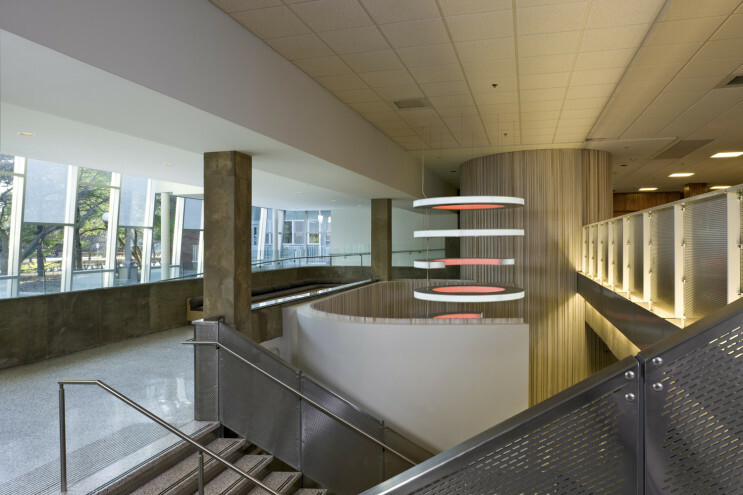 It is the first in a new generation of sustainability-focused ‘convenience-hybrid’ models for living-learning facilities on campus. Administrators and University Housing staff desired a lively environment to serve as an attractive option to popular off-campus competition for students to eat, study and socialize. 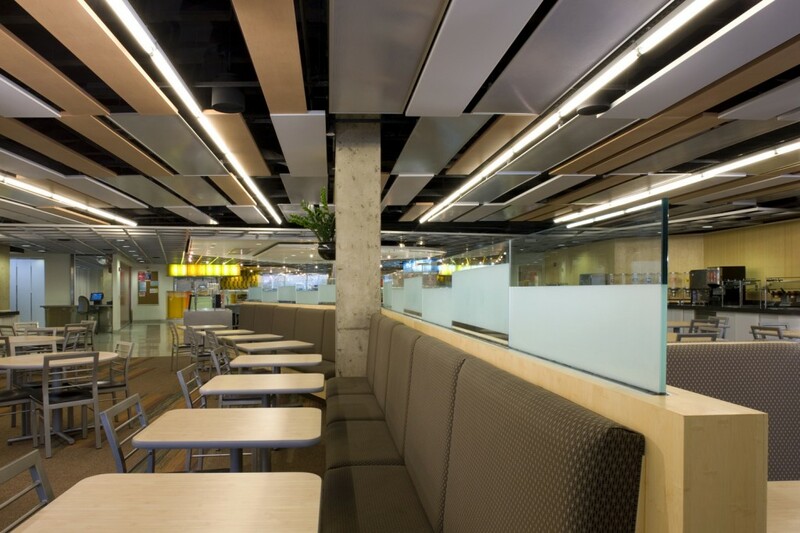 The project successfully converts a 1960s overcrowded and marginally accessible basement dining facility into a bright inviting space. 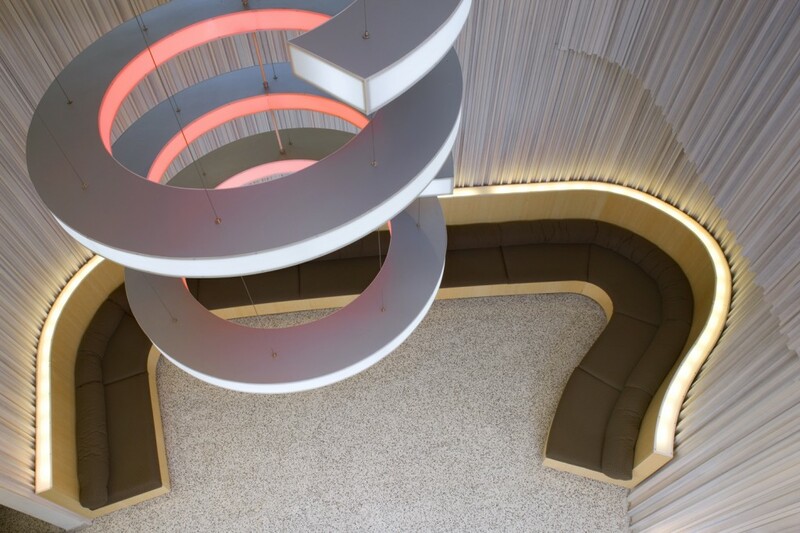 The design concept is based on a multiple station, restaurant style venue that supports different cultures and ideas of diet and nutrition. 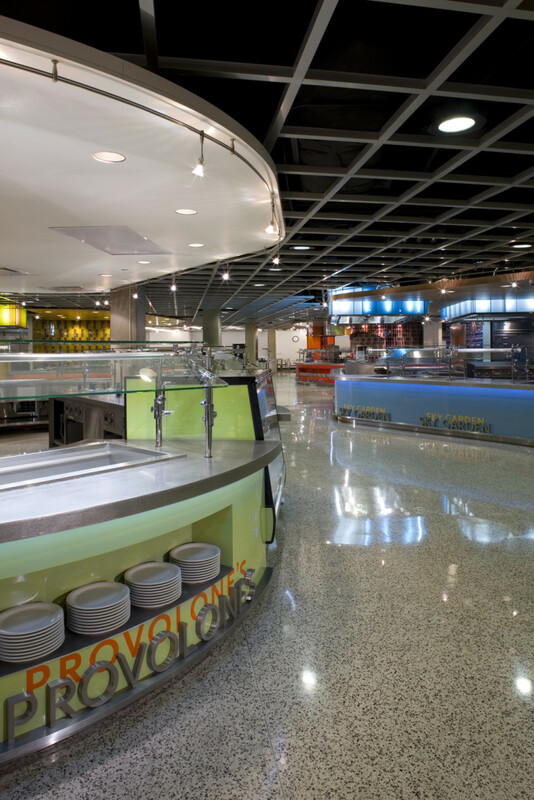 Students from all over campus embrace the fun and modern dining hall and 24/7 café lounge. 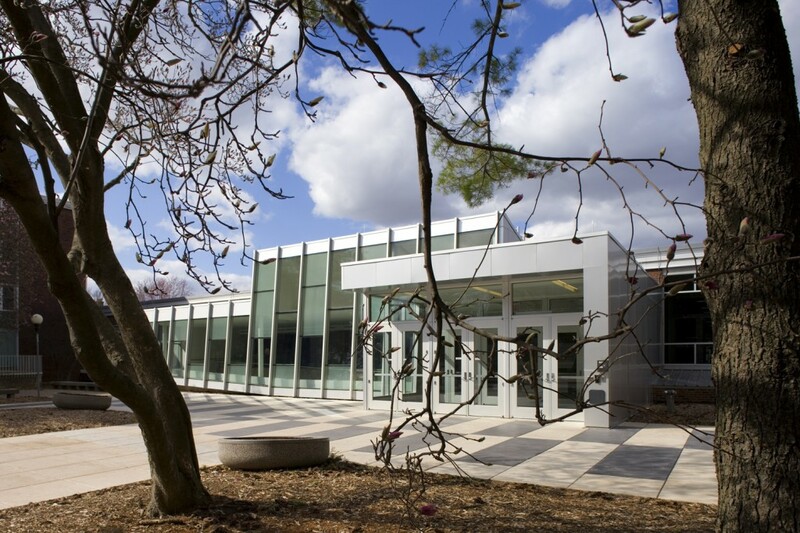 The dining hall serves sustainable food from the campus farm and was the first dining hall project on campus to utilize a tray-less operation which reduces water, electricity and food waste.